Industry insiders have long speculated on the effects of online and mobile shopping on brick-and-mortar locations. But new research from Google, Ipsos MediaCT, and Sterling brands has provided new insight on the retail industry. The research demonstrates an environment in which digital has not replaced in-store shopping, at all. 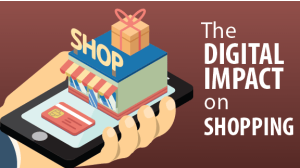 Instead, many shoppers today employ a combination of digital research and store visits when deciding to make a purchase. To reach this new era of customers, retailers must find a way to provide shoppers the experience they expect. Not only does this mean making sure their pricing is competitive, but that they allow customers to purchase an item either in store or online for local pickup or home delivery, as well as allow returns both locally and through the mail. At one time, shoppers conducted extensive online research prior to leaving the house. But today’s multi-channel shopper researches products while in your store, using the mobile devices they have in hand. It’s important that merchants realize customers are researching before, during, and after the shopping experience and provide the tools to make it easy. Businesses should realize that a large part of this research centers on pricing. Thanks to mobile devices, consumers have the ability to price check from anywhere, using any app. If they find a cheaper price, they can purchase the item directly from the floor of your own store. If your purchasing process is mobile friendly, those purchases may be made from the floor of a competitor’s store. When customers can’t get information, the first thing they do is go online. If they’re in your store at the time, this is a bad thing. Two in three shoppers say they feel frustrated by the lack of information in stores. While 43 percent just stayed frustrated throughout the shopping experience, 41 percent said the issue made them more likely to shop elsewhere. An additional 22 percent said they were less likely to buy from the retailer after a frustrating in-store experience. A personalized experience is more important than ever for brick-and-mortar stores. If in-store sales staff have a product expertise that they can use to help customers make a decision, the experience will actually exceed what they had online. A customer searching for a new laptop or tablet can gain much more by talking to someone with technology expertise than by searching online product descriptions and reviews. Provide this experience and your customers are more likely to come back to your store in the future. Once an in-store customer has pulled out his mobile device, the store has already lost his attention. It’s important that in-store customers be able to get the information they need without help from Google. By providing top-quality customer service and proper signage with price information, you’ll be able to capture the customers in your building.